I am a decluttering whizz. Well, I am not quite KonMari, but I did move from a four bedroom house with a furnished granny flat to a three bedroom apartment recently. It has freed up my life – I reduced car commuting and saved close to an hour a day, I’m closer to my kid’s school community, it has encouraged weekend walks, and I am cycling to work. But even despite this radical decluttering, I still have too much stuff. 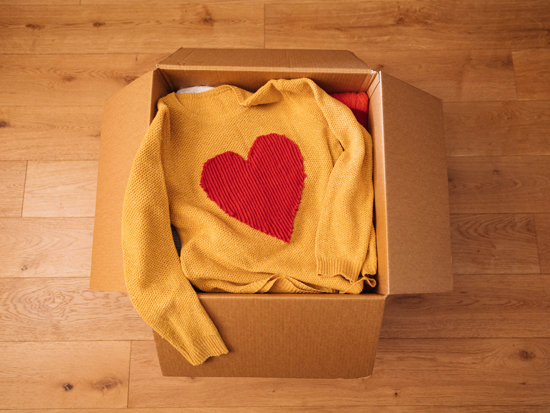 One of the rewarding things about decluttering when done in the spirit of love is giving freely of things that you like, but no longer need, knowing that the stuff will make a difference to someone else. As Canberra transitions to winter, there is already a chill in the air. Imagine what it would feel like to experience a Canberra winter without warm clothes. How many coats and jackets do you have hanging in your closet (or in a vacuum sealed plastic bag) that you never wear? Could they go to someone who really needs them? I regularly give to my local op shops, but a challenge can often be finding time to get there. This is because many have limited opening hours on Saturdays and I work during the week. But never fear – Uber has a solution. An Uber will arrive to collect your items and drop-off your donation at a local Red Cross Shop – free of charge. Let me just repeat that – the service is FREE OF CHARGE. There are, however, a few stipulations. The Red Cross Shops can only accept clothing, shoes and accessories. Please do not donate toys, books, furniture or electrical items. Please only donate quality clothing and gifts that are saleable. Every year charities spend millions of dollars and hours of volunteers’ time getting rid of junk. If you don’t think the item is something people would willingly buy, don’t donate it. All items must be bagged for drivers to accept your donation. The Red Cross has two shops in Canberra: one in Woden, and a second in City Walk in Civic. I have stopped by the City Walk shop several times during a trip to Civic at lunchtime. It is a stylish shop that looks and feels like a boutique. I have received so many comments from a pair of glittering chandelier yellow earrings I purchased before Christmas, and love a new Lorna Jane jacket I bought for cycling commuting (looks like it is brand new). Sales from the Red Cross Shops help vulnerable people in the community. The Red Cross provides a range of humanitarian assistance in Australia and overseas. It is the world’s largest humanitarian movement. You might have heard of it. Do you have clothing to donate? Do you regularly support local op shops?